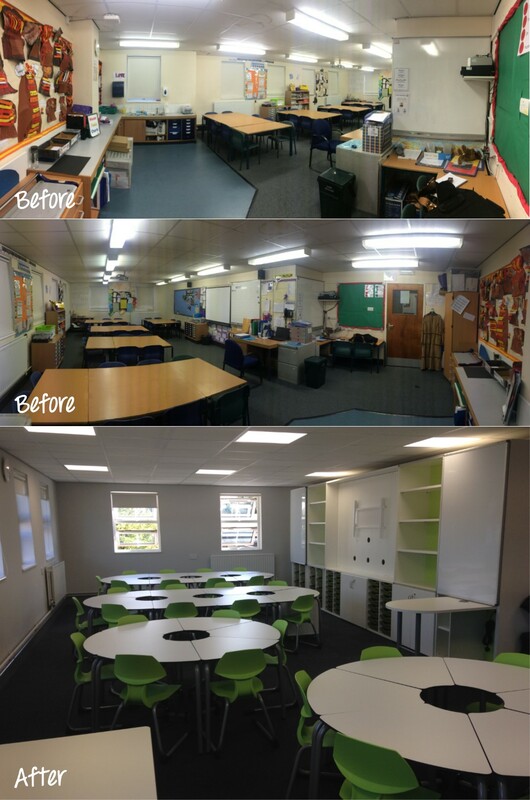 zioxi worked with Headlands Primary School in Northampton to redesign a number of their outdated classrooms. Headlands Primary School underwent major renovation work during the summer holidays with several of the classrooms on the first floor receiving new carpets and suspended ceilings, and a lick of fresh paint on the walls. 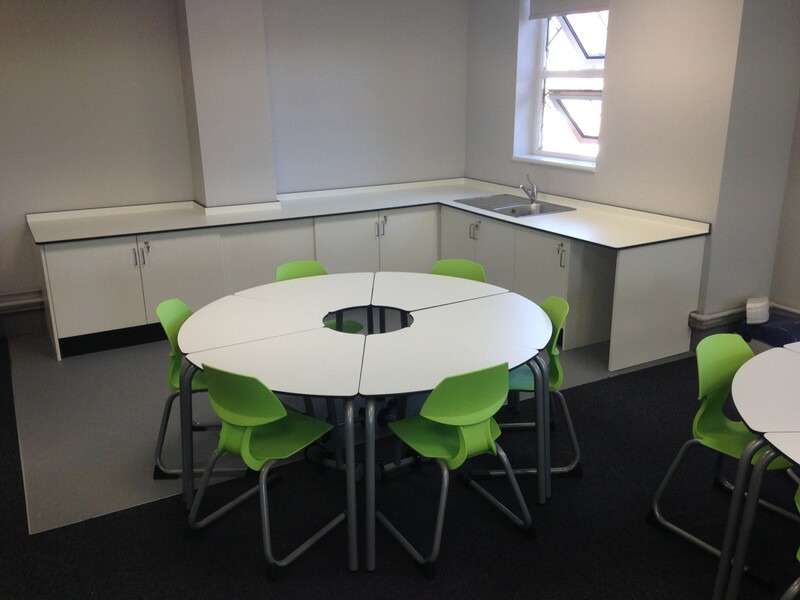 To complete the renovation work, Darren the Head Teacher, was keen to introduce new furniture to each of the spaces to promote a much more agile and less cluttered teaching style. 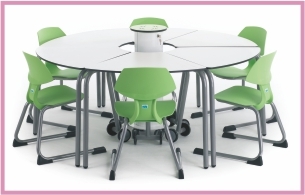 zioxi began the space planning of the classroom by introducing the incredibly flexible t41 desk. Each classroom was home to a combination of 60° and 180° t41 desks that were arranged in multiple configurations. 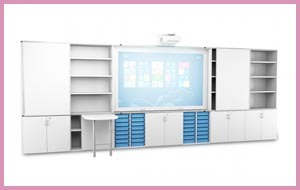 A TeacherWall provided endless amounts of storage space in each classroom. 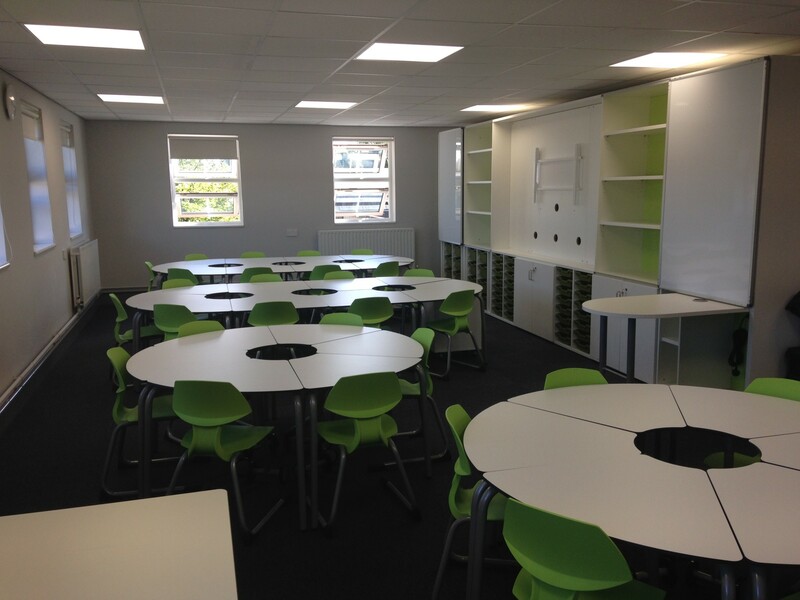 The TeacherWall included an integrated TeacherDesk, tray storage and also dry-wipe sliding whiteboards. 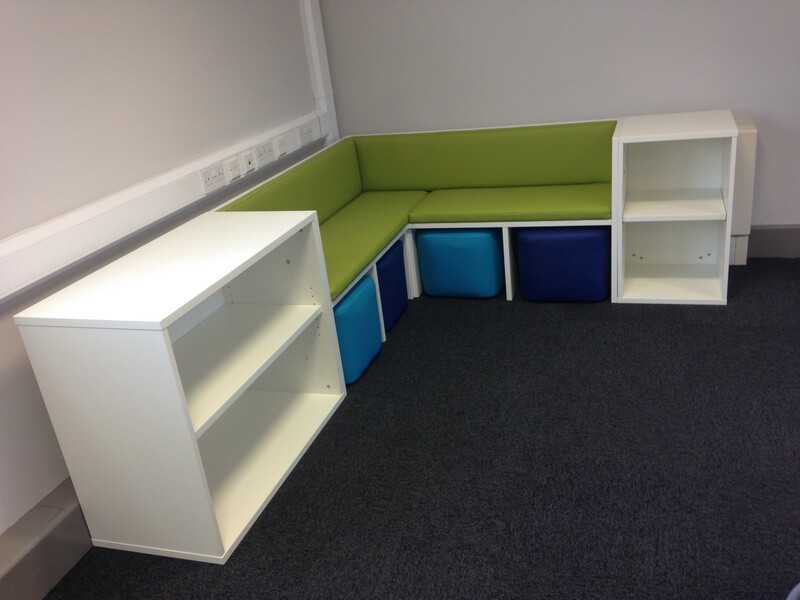 To add an additional splash of colour to the classroom spaces, a combination of Caribbean blue and Lime Green back panels were used for each of the shelving units. 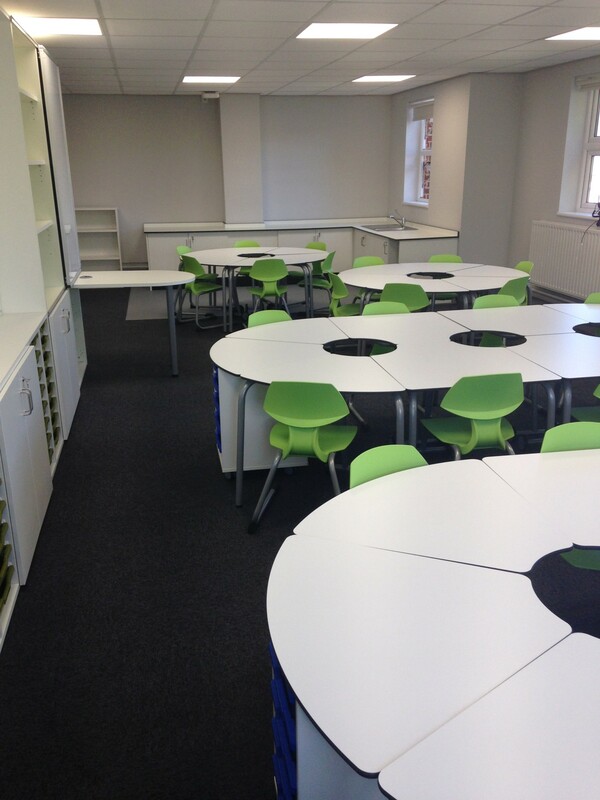 This colour was then coordinated with the trays and seat shells in each classroom space.